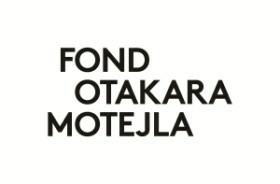 The Otakar Motejl Fund supports civic initiatives to oversee the government and to point out its errors, and those initiatives that involve citizens in a decision-making process and in a partnership with the government create a fairer enviroment in the Czech Republic (so called „watchdog organizations“). With approval of his family, the fund bears Otakar Motejl’s name. Otakar Motejl was the first ombudsman in the Czech Republic and he contributed significantly to the defense of the rule of law in the country. The fund was established and is administered by the Open Society Fund Prague (OSF).The foundation has donated the first 11.5 million crown to the Otakar Motejl fund and will continue to increase the assets of the fund. However, the fund primarily recieves funding from corporate and private donors. Otakar Motejl Fund also provides institutional support for five major Czech non-governmental organizations dealing with this issue: Transparency International Czech Republic, League of Human Rights, Oziveni, Enviromental Law Service, Iuridicum Remedium. Investigative journalists also draw support from the fund. Expert assistance for the fund is provided by a board of prominent Czech personalities who dislike the corruption enviroment in the Czech Republic and decided to rectify the situation. Board members are: Katerina Kuliskova – Otakar Motejl’s daughter and the director of Prague Office of the Czech School Inspection, Vladimira Dvorakova – one of the leading Czech political scientists, Head of Department of Political Science at the Faculty of International Relations at the University of Economics in Prague and the chairwoman of the Accreditation Commission of the Czech Republic, and Simon Panek, head of Czech largest non-governmental organization People in Need.